My mother, Joan, wrote poetry starting at an early age. Here’s a poem about Christmas she wrote when she had just turned 10, living in Chicago in 1932. Coming for the girls and boys. Bringing toys for you and me. 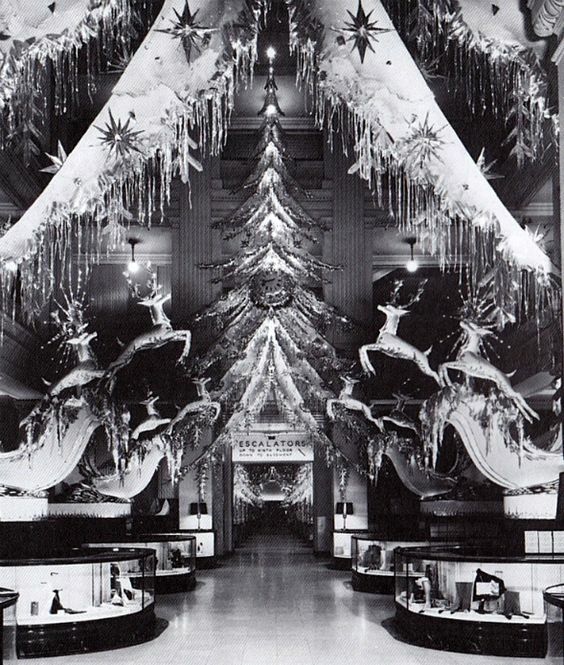 Christmas Display at Marshall Field’s in the 1930s or 1940s.